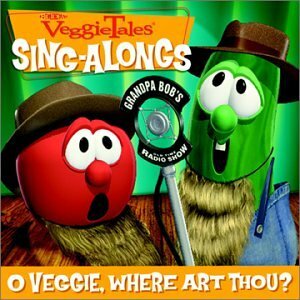 Misheard song lyrics (also called mondegreens) occur when people misunderstand the lyrics in a song. 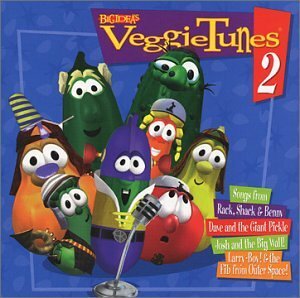 These are NOT intentional rephrasing of lyrics, which is called parody. 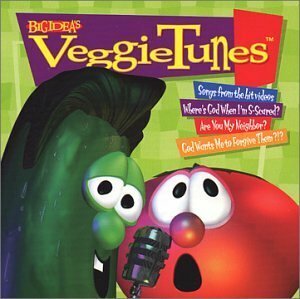 This page contains all the misheard lyrics for VeggieTales that have been submitted to this site and the old collection from inthe80s started in 1996. For more information about the misheard lyrics available on this site, please read our FAQ. 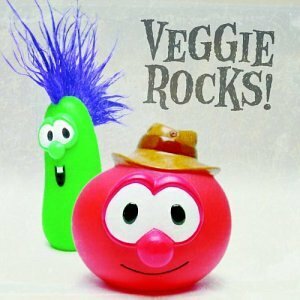 There are 27 misheard song lyrics for VeggieTales on amIright currently. 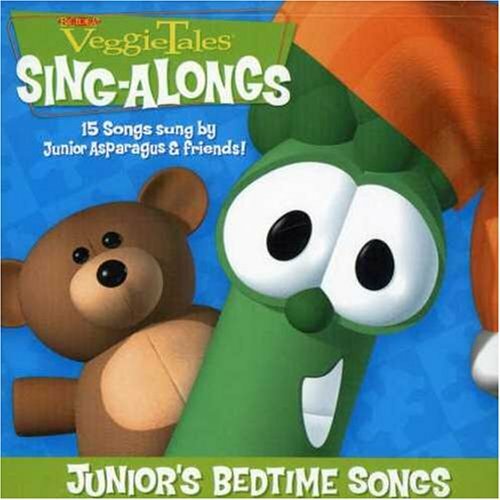 There are also VeggieTales misheard lyrics stories also available. We're going home with screaming peaks and Bart's a-coming! Down hay, it makes us wanna die! Hey hey, it makes us wanna cheer! 'Cuz He loves you cheeseburger with olive sauce. 'Cuz He loves you cheeseburger with all His heart. I'll even be back here for lunch. I'll eat and be back here for lunch. I will love you too. I will love you too. I will love you-hoo. I will love you-hoo. He'll wait for you, yeah, he'll wait for you. You are my cheeseburger, you are my cheeseburger. I will love Yoo-Hoo. I will love Yoo-Hoo. If my lips moved to Duluth, left the meth, and took my tooth. Tha'd be too bad, I'd call my dad. If my lips moved to Duluth, left the mess, and took my tooth. Jonah was a prophet, poo poo! But he really ever got it, go away! Jonah was a prophet, ooh ooh! But he really never got it, sad but true! Jonna was a profit, woo hoo! But she really never got it, happy but false! Wait, Is Jonna a profit?! A profit is money, not a person! Bit's bain bo bee, bour brains bre bery ball; bo bink balking! Be'll be bocking bown bur ball! It's plain to see, your brains are very small; to think walking! We'll be knocking down our wall! This is signed by Mike Smith. So keep walking. We'll be knocking down our wall! A slushee fell onto the ground. Before my dapperness goes flat. Left a mess and took my stew. Left a mess and took my tooth. For a scoop of peanut butter. For a bag of Frito-Lays! And much to their surprise, they love adventures. Wetter, wetter, wetter, wetter you don't like it. Wetter, wetter, wetter, wetter a chef naked. Whether, whether, whether, whether you like it or not. Weather, weather, weather, weather is cold, warm and hot. Of gold so rare and big TVs! You got to be kidding me! Vikings and monks colliding on an island? No! It's Spanish Gold for all today, for king and country now we'll never fight. Our shirts aren't loose, our pants aren't tight! It's Spanish Gold for all today! It's Spanish Gold for all today. Oh! It's Spanish Gold for all tonight! For king and country now we fight. Our shirts are loose, our pants are tight! It's Spanish Gold for all tonight! It's Spanish Gold for all tonight. When I take you out in Missouri with the fringe on top. When I take you out in the surrey with the fringe on top. Ed. 's note: A cover of the song from Rodgers and Hammerstein's "Oklahoma". We just go to school and eat all day! And if you ask us, to do everything, you'll tell me "we do everything". We just stay home and lie around. And if you ask us, to do anything, we'll tell you 'we don't do anything'. And in the Promised Town, it's gonna be Greek! We'll have our fill, from the bill; as much we can't stand. Oh! We are not waiting! 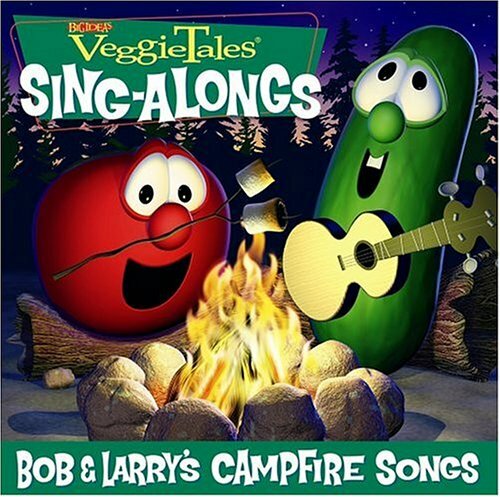 'Cause we're not going to the Promised Town! And in the Promised Land, it's gonna be so grand! We'll have our fill, from the grill; as much as we can stand. Oh! We can hardly wait! 'Cause we're going to the Promised Land! Pancho puts his line after the "it'll be so lousy" this: "With waffles on my toy airplane!" Have you ever eaten a king? A bandit who stole your things? The ladies only asked for a detective's name on their autograph books. Have you heard the one about Alfred? A dangerous robot I'm told. He's got lasers for eyes, and a microchip brain, and his skin is terribly cold! When the nurse said "If it's all the same to the King, do you want to be a rich man?" The doctor shrugged like if he was saying 'I don't know'. Then said, "Forget about it!" To the nurse of the yodeling pickle of the Alps! When the nurse who assisted the doc asked for a raise in pay. The doctor pondered this awhile, scratched his scalp and said "No way, Jose!" To the nurse of the yodeling veterinarian of the alps! 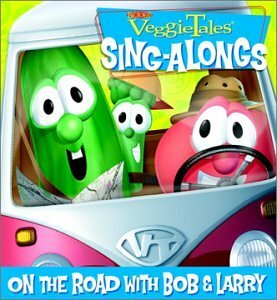 Veggie Tales: O Veggie, Where Art Thou?